The Fitzwilton Hotel is the outstanding 4-Star boutique hotel in Waterford City. 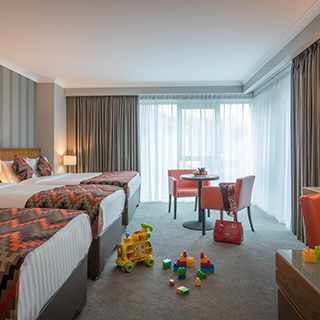 Centrally located, this sleek modern hotel offers contemporary luxury in the heart of Waterford City. With 89 beautiful bedrooms and suites, many offering stunning views across Waterford’s cityscape and the river Suir, the multi-award winning Chez K’s Bistro, the stylish Met Bar, and the nearby Kingfisher Leisure (where our guests can avail of greatly discounted rates), The Fitzwilton Hotel is THE place to stay when visiting Waterford City. Use this voucher on AllGifts.ie to make a booking for the Fitzwilton Hotel. Or you can order a Fitzwilton Hotel voucher and make a booking directly with the hotel at a later date. 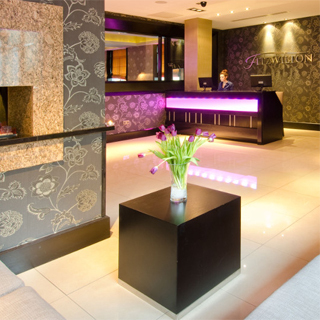 Fitzwilton Hotel vouchers are posted out free of charge. Use this gift voucher on AllGifts.ie to make a booking at The Fitzwilton Hotel in Waterford City or to order a The Fitzwilton Hotel gift card to make a booking at a later date directly with the hotel. 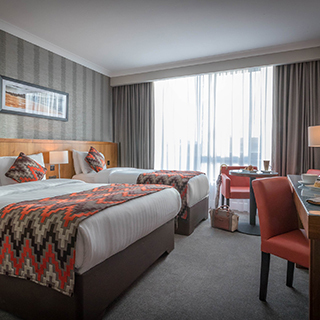 The Fitzwilton Hotel Waterford City is located on Bridge Street, a mere 2 minutes walking distance from Waterford City’s main Train/Bus station and shopping and entertainment district. The Fitzwilton Hotel is the outstanding 4-Star boutique hotel in Waterford City. 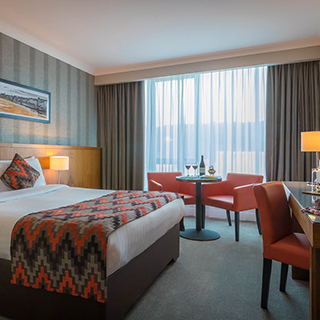 Centrally located just two minutes walk from the train station, this sleek modern hotel offers contemporary luxury in the heart of Waterford City. 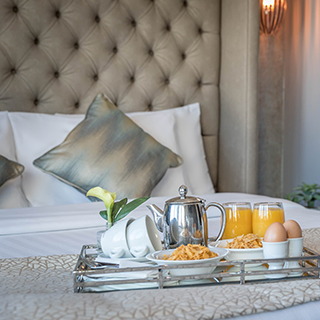 With 90 beautiful bedrooms and penthouse suite, many offering stunning views across Waterford’s cityscape and the river Suir, the multi-award winning Restaurant Chez K’s, the stylish Met Bar, the Fitzwilton Hotel is THE place to stay when visiting Waterford City. The multi award winning Restaurant Chez K’s at the Fitzwilton Hotel offers a varied menu with a wine & dine offer for €69 for two people. This is a three course meal from the a la carte menu with a bottle of house wine. This is also available for group bookings at €34.50 per person. The Met Bar has all the ingredients to guarantee an enjoyable evening. Please note that our Free On-Site Parking is limited and we can not guarantee free parking. Should you be unable to avail of our free parking, there is alternative parking available on the quay which is a 2 minute stroll from the hotel. This car park is available for €4.40 for 24 hours.